WOW AIR has shut down its operations, cancelling all of its flights. 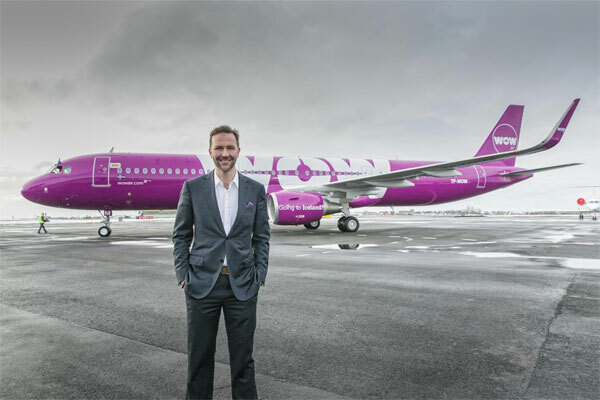 The Iceland-based, ultra low cost carrier operated flights to Toronto and Montreal here in Canada, as well as to other North American and European destinations from its hub in Reykjavik. For more, go to www.wowair.com . Quebec’s Office of Consumer Protection (OPC) was also quick to issue an advisory to help travellers affected by the WOW AIR shutdown. OPC says that travellers who have purchased their airline ticket from a Quebec licensed travel agent may be eligible for protection from the Travel Agent Compensation Fund (FICAV). The Fund, administered by the Agency, may reimburse tourist services that have been paid for but have not been obtained. It may also compensate a customer in the event that a delay or cancellation forces the traveler to extend his stay or to buy another plane ticket, or if he causes him to lose other tourist services purchased from him. travel agent, for example, miss the start of an excursion or a cruise. For more, go to https://www.opc.gouv.qc.ca/en/news/communiques/article/wow-air/ . TICO advises that “consumers who have purchased a Wow Air travel services from an Ontario travel agency or website and will not receive their travel services due to the cessation of the airline may file a claim from the Ontario Travel Industry Compensation Fund for reimbursement. All consumers who have paid by credit card and who have been charged by the airline should contact their credit card company and request a chargeback (refund) as well as request a claim form from TICO. Consumers with future departures or who are currently in transit are advised to contact their travel agent for information or assistance with alternate travel arrangements. For consumers who purchased their Wow Air travel services from an out-of-province travel agency or website (i.e. a travel agency located and operating outside the province of Ontario) AND consumers who purchased their Wow Air travel services directly from the airline, there is no provision under Ontario Regulation 26/05 pursuant to the Travel Industry Act, 2002 for a consumer to claim on Ontarios Travel Compensation Fund when they have purchased travel services from an out-of-province travel agency. For more from TICO, click here. Agents in Quebec and British Columbia should check with their provincial travel regulators to determine how the WOW AIR shutdown is being handled.